Anyone working in design industry knows that User Experience (UX) is a catchword in the design world. From website design to content marketing campaigns, everything is based on UX design principles. Over the last couple of years, a quite new term has come into picture on job advertisements – UX writer. On throwing a glance at job advertisements, you can see several companies searching for UX writers. There is also a dedicated newsletter to locate UX writers. Finally, businesses have realised that content writing is not only about digital marketing or technical writing but more about creating experience for the users. UX writers are proponent for design and help create product experiences by developing content that helps users in completing the tasks. Therefore, UX writing has become need of the hour for every business. So, as a business owner, it is important for you to know what UX writing is and value it can add to your business. UX writing is writing content for user-facing touch-points that should not only express the organizational voice, but also be solicitous and helpful for the user. It creates a great user experience through written words. 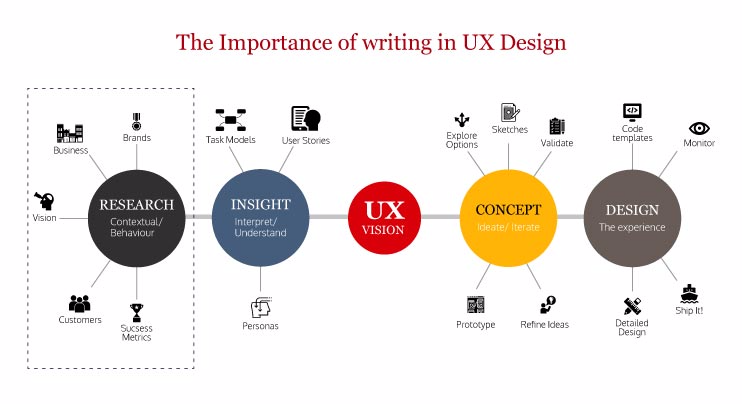 UX writing is not only about reciting broader content strategy of an experience but also humming and hawing over the accurate expression of transforming your potential customer into loyal customer. Mark Twain’s old quote says, “If I had more time, I would have written a shorter letter.” This shows that expressing a thought in few words takes a lot of time and creativity. UX writing is crafting right choice of words to go with the right designs. 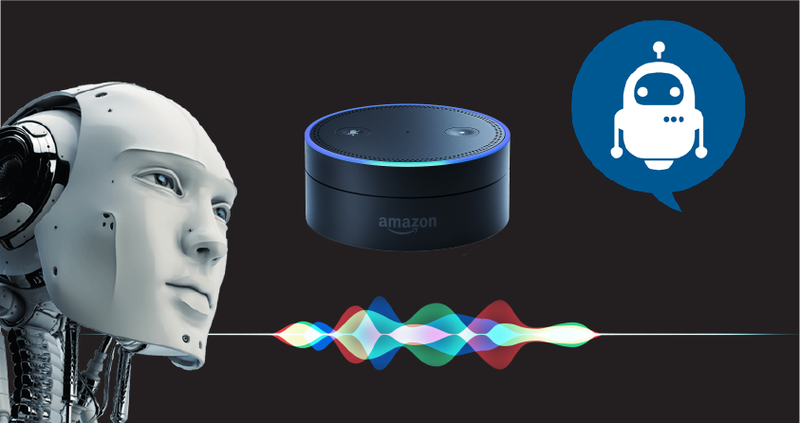 The future world runs on UX writing: interactions like voice interface skills, chatbots, virtual assistants and phone calls with robots need to be written along with designing. Today, our experiences with technology are getting seamlessly meshed into human lives. We can ask smart technologies like Google assistant to search for restaurants and hospitals near us. We can order groceries by talking to machines and ask our phone robot to check account balance. We can ask Alexa to switch on/off the electrical appliances and can ask Xbox to turn on video game. In short, our voices can do anything in less time compared to what our hands are able to. Graphical user interfaces (GUI) and voice user interfaces (VUI) are increasingly overlapping with each other, which makes a new skillset necessary for content writers : user experience writing with good understanding of narrative writing and conversational writing. Content writing is about informing, educating, convincing and selling the product/service. Whereas, UX writing is about helping the users understand the message, use the product/service and help them enjoy it. UX writer’s focus is in understanding user’s pain points and conduct to create engaging experiences. Content writing comes in picture in the middle and last stage of the project development, while UX writing enters early in the project. 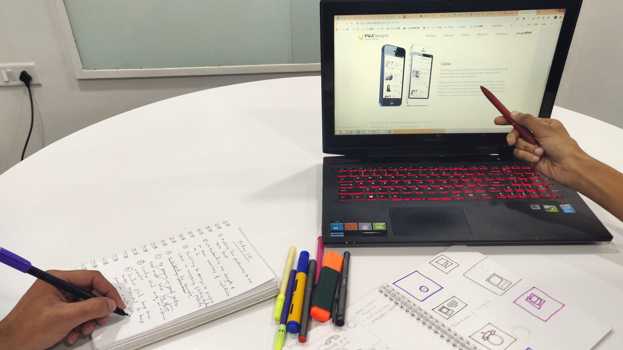 Content writing is done after the design and development team completes their work, while UX writing is an essential part of the UX team to develop and express functionality. 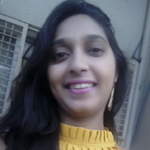 Content writer understands the product and its use in order to craft promotional writeup, while UX writer understands the product from wireframe stage to uplift the usability and functionality of the product. This is because a UX writer has to design experience for which h/she needs deep understanding of the product and the technology driving it. Content writer works with designers and marketing teams, while UX writer works extensively with business, strategy, design, development, legal and marketing teams to understand their viewpoints and integrate them in the product experience. Content writers and UX writers, both should be data driven; but they need different set of data to keep an eye on. Content writer is concerned about metrics associated with page content like time spent, clicks, bounces, conversions, etc., while UX writer is concerned about metrics associated with product usage like ease of use, efficiency, daily active usage, user satisfaction, stickiness, etc. For example, content writer uses fancy words to attract customers while UX writer uses simple words to explain things. Can a Content Writer Develop into a UX Writer? Definitely ! I can assure this as I have grown into a UX writer from a content writer. But, the only thing you need is to understand the UX and how it works in today’s digital world. To become an exceptional UX writer, you need to extend far down into understanding UX design, technology and behavioural psychology. Being a UX writer is a deep-diving journey into the UX space as you keep on learning something new everyday. Be concise without confusing and frustrating the readers. Collaborate with designers to inform the content strategy. In this UX era, writing has become even more integrated with design and development. UX writing plays a significant role in today’s digital world where user experience is the aim of all businesses. New AI technologies, conversational and narrative interfaces have supported the importance of UX writing. Design companies have now realised that words personify just as much design principles as a wireframe. So, the future holds a lot for UX writing since it is going to be a crucial part of every company’s success.